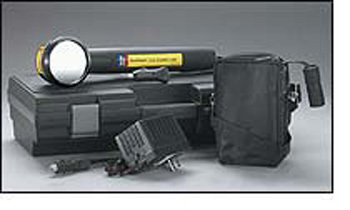 Newly patented technology combines special lens and reflector to emit only pure UV light (330-380 nanometers). Universal is your best choice for all dye bases including mineral, AB, PAG, POE, engine, and lubricant. Efficient in close quarters with power similar to AC lamps. Filter glasses not required.